The 2016 Dodge Dart sedan is a four-door sedan that offers up to five models to choose from such as the SE, SXT, the Aero, the GT and the Limited. The sedan also comes fully equipped with two award winning engines and transmissions for under its hood along with excellent interior and exterior features. The 2016 Dodge Dart is a sight for sore eyes when passing by people on the street, which will make you want to buy a Dart today. 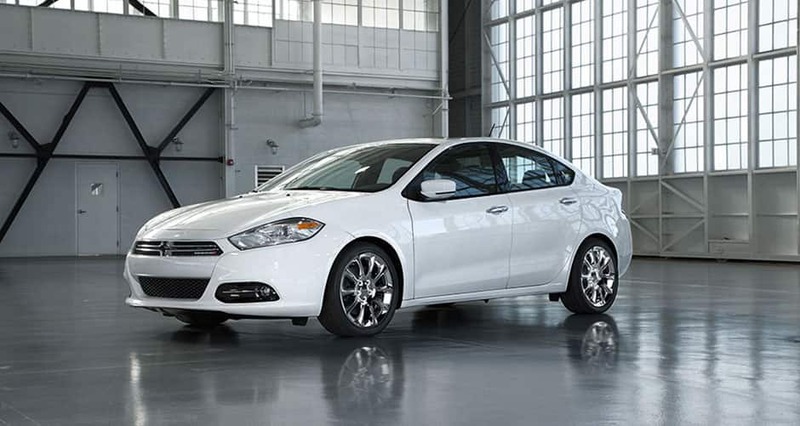 The Dart offers two engines and transmissions for under its hood, along with great fuel economy. One of the features engines is the 2.0-Liter Tigershark Engine; the engine is a four cylinder with a six-speed manual transmission with double overhead cam (DOHC). The power of the sedan offers up to 160 horsepower at 6,400 RPM and torque pressure of 148lbs-ft at 4,600 RPM. For certain models, towing capabilities are optional for the Dart and can tow a max of 1,000lbs. For the fuel economy, the sedan offers plenty of efficiency with a 14.2-gallon tank offering 25-city/36-highway MPG and a total range of 355-city/511-highway total miles. For certain models, the Dart offers sport-tuned suspension that corners more tightly at higher speeds for excellent handling. With its shock absorbers help provide highly responsive control that also gives it a smooth drive. Finally the sedan offers active grill shutters to help redirect the airflow through the grill of the segment to offer a better driving performance in its aerodynamics and speed. The Dart offers plenty of exterior features to its body; one of the models, the SXT gives us plenty of reasons why this sedan the choice to make. Starting with its 16-inch tech silver aluminum wheels placed on all four sides, with its chrome front grille placed with signature Bi-function Halogen LED projector headlamps on both front ends. LED tail lamps are also placed in the rear of the segment with dual bright exhaust tips and a power express sunroof on the top of the sedan. For the interior of the sedan is a five-seat passenger with 60/40 split folding for second row seating. With its multi-media system the SXT offers four speakers that connect to its audio system, which connects to the audio jack input for any mobile device. The SXT also comes equipped with it's a Radio 200system that integrates FM/AM CD and MP3's. Where is Reedman Toll Chrysler Dodge Jeep RAM Located? Can I buy tires on your website? What are your current hours? 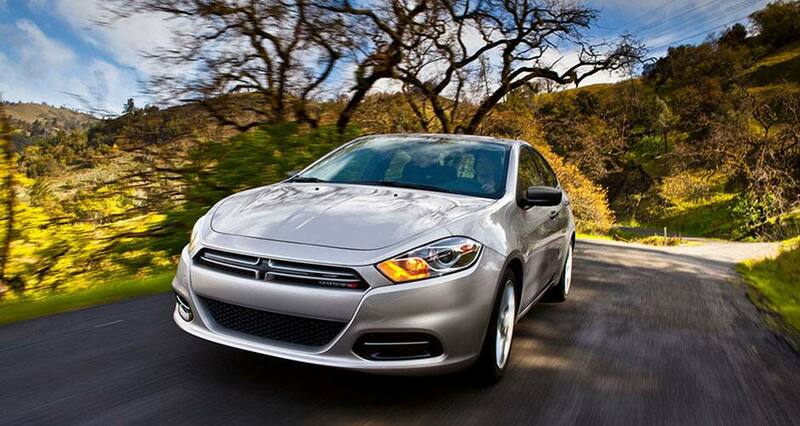 The Dart comes with a boatload of safety, offering up to 60 safety and security features. One of the many features that are included are standard airbags, along with blind-spot and rear cross-path detection, battery rundown protection, traction control, electronic roll mitigation, electronic stability control (ESC), hill start assist, and much more. The 2016 Dodge Dart seems to be getting many anticipated drivers excited with the new features, and cannot wait to take it out on the road for a test drive.